Congratulations to our Metro Atlanta April Homebuyers! 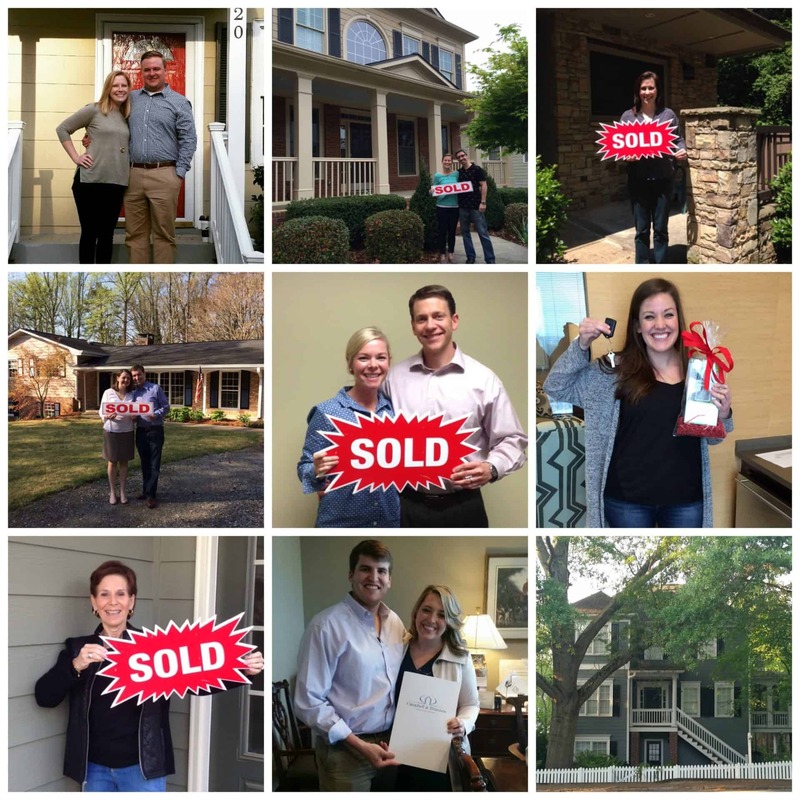 Congratulations to The Peters Company Buyers who are finding fabulous homes all around Metro Atlanta! The Peters Company is lucky to have 3 buyer specialists who dedicate their days, nights and weekends to help our buyers find the perfect home! In our current sellers market, the task isn’t always easy! But, they leave no stone unturned as they search for unlisted opportunities, call co-op agents for quiet listings, and mail to neighborhoods for upcoming inventory! If you’re looking for someone that truly works for you, you cannot go wrong with our Fabulous 3 – Jennie, Dore and Lilli! Congratulations to our April Homebuyers! So happy for these first time home buyers, Devon and Chris! We found a great brick ranch in the cool Northcrest neighborhood that is perfect for them and their 3 dogs! I hope you enjoy that fabulous deck and I am looking forward to your housewarming party! Kendra and Seth, congratulations on your super cute home in Briarcliff Heights! So happy we were able to snag that one! It is the perfect home for you! Lauren and Ryan knew exactly where they wanted to be when we started their home search. They needed a bigger house with a yard in Roswell for their 2 adorable children. Turns out we found the perfect thing before it ever hit the market! Congratulations guys! Congratulations Lindsey and Thurston on your beautiful new home! I know ya’ll are going to love running in Morningside and being so close to all the action! You both were a pleasure to work with! Congratulations to Mike & Megan two of The Peters Company’s most loyal clients! Obviously, we just loved working with you, and it’s not often that a client drives down a street and says “I wish THAT house would come on the market” … and then it does. Goes to show that good things happen to good people! We hope you love your new Brookhaven home, and we’ll see you at the Blackburn Park Food Truck nights all Summer! Ben and Heather found the PERFECT “Kindergarten to College” house for you and your girls. You made it your goal to sell and buy in the same crazy month, and you made it happen! After your Lawrenceville house flew off the market, the pressure was on to find the right place in Hamilton Mill, but everything worked out perfectly, and we couldn’t be happier for you! Thanks for your trust in The Peters Company! Jessica landed an amazing condo in Roswell’s River Mill community! You KNOW you found a gem when yours was the winning bid out of eight offers. Thank you for entrusting our team to guide you through your first real estate purchase. We hope you enjoy many years in your adorable new home! Stephanie, congratulations on your relocation from Florida! You wanted an active adult community and we found a great place near your family in Marietta. I know you will enjoy all the amenities in your new community and the ability to be at your daughter’s house in 10 minutes. Welcome to Georgia! Tiffany, we are so happy you found a bigger place in Brookhaven with such a wonderful outdoor living space. The townhome is even bigger than you wanted and still keeps you close to work. The Peters Company helped you buy, sell, buy again. And this time it was also a Peters Co listing! #great client. Thank you for your trust and many congratulations! ← Just Listed :: Charming Brick Ranch in Buckhead!